We can give 30 kids voice feedback on @showbie without carrying a single book home. Plus, I haven’t printed out any articles/sheets in ages as they can access it all through Showbie when I’ve pushed them out. It’s been life-changing! Love @showbie. I take pictures of children’s work and upload so that the whole class can see. With the highlighter I can showcase the good points and the pen I can write messages. It really helps a lot. Even with a ruptured Achilles & four weeks off work, my students still can’t escape me thanks to the magic of @Showbie! With Twitter reviews like these streaming in, it’s no wonder Edmonton start-up Showbie is on a roll. The company, which sells the Showbie classroom workflow app, has grown from two co-founders with a great idea in 2012 to 23 employees and an annualized run rate of nearly $4 million in 2018. As is clear from their tweets, teachers love Showbie. The app combines all the essential tools for assignments, feedback, and communication in an easy-to-use platform. 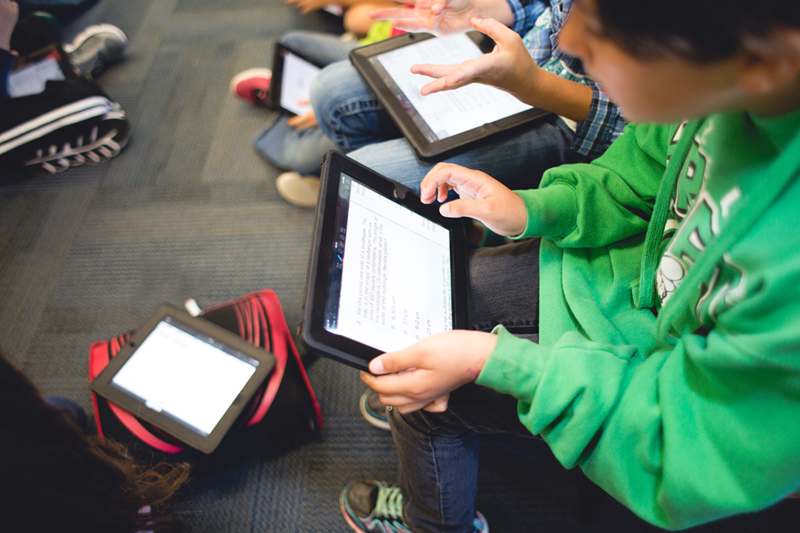 Teachers use Showbie to create and mark assignments; students use Showbie to complete assignments. It works across devices and can be accessed anywhere. Showbie currently has over three million users in more than 140 countries and is available in 14 languages. It is regularly ranked as one of the top selling education apps for iPad. The idea for Showbie came from Colin Bramm, a 2003 University of Alberta computer engineering graduate. Post-graduation, Bramm freelanced with western Canadian school districts for nearly a decade helping them implement technology. “As he was working, Colin realized there was a technology gap in schools,” explains Showbie’s Director of Marketing Kelly Kowalchuk. “Schools tend to have large over-engineered learning management systems. While these work for storing grades and generating report cards, they’re not user-friendly for teachers. In 2012, Bramm joined forces with Roy Pombeiro, a NAIT graduate who had worked with Bramm during his freelancing period. Pombeiro immediately saw the power of Bramm’s vision of a paperless classroom and together they founded Showbie to bring the vision to reality. A year later, Showbie was selected to participate in Imagine K12, a Silicon Valley start-up accelerator focused on education technology. Bramm spent the better part of a year in California learning how to run a business and take a product to market. Once he was back full-time in Edmonton, Showbie acquired seed funding to move forward with product development and sales. One of Bramm’s earliest connections – an alliance with Apple Distinguished Educators – turned out to be vital to the growth of the company. There are 2,000 Apple Distinguished Educators around the world, all leaders in using education technology. Showbie was adopted by many of these educators and it has been the basis for numerous case studies that highlight the benefits of the app in progressive classrooms. Kowalchuk notes that European schools tend to have more iOS technology integrated into their programs compared to North American schools. Not surprisingly then, over 60 per cent of Showbie’s business is in Europe. There were gaps in support roles. As CEO, Colin had basically been doing it all, but marketing and finance are not his areas of expertise. The support from Alberta Innovates was instrumental in helping Showbie grow. While backing from venture capital investors has fuelled Showbie’s growth, the company has also received important support from Alberta Innovates, whose funding allowed Showbie to hire two commercialization associates in 2017: Kelly Kowalchuk, Director of Marketing, and Jason Bjalek, Director of Finance and Operations. Kowalchuk and Bjalek are also playing a key role in refining Showbie’s business strategy. They see real value in a business-to-business model – selling the app to schools and school districts, as opposed to individual teachers. Implementation of this strategy is going well. The number of paid teacher licences has grown in the past year from 30,000 to 37,000. Annual recurring revenue is up from $2.4 million in 2017 to $3.8 million in 2018. Photos used provided with permission from the Azle Independent School District (Azle, Texas).